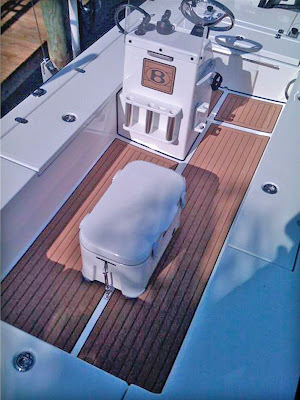 We’ve had an overwhelming response since the IBEX show to our new faux teak SeaDek product. 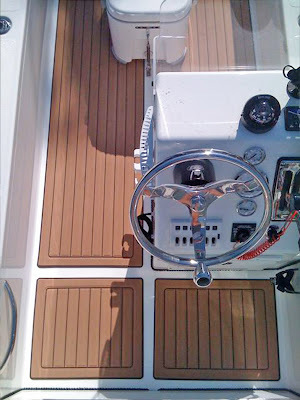 This is a dual density, laminated eva foam which gives the look of teak with the comfort of SeaDek. We’ve spent the past several months testing and retesting the product and are close to putting it into wider production. Here are a few photos from one of our test pilot’s iPhone. We’ll have some better high-res images up soon. Mfg is Beavertail. 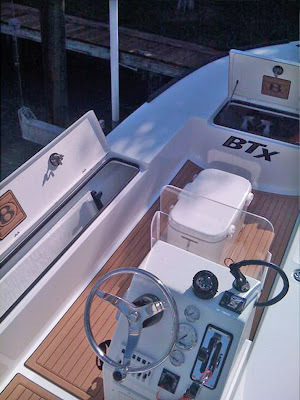 Model is BTX, with optional faux teak teak. Thickness is 6mm. 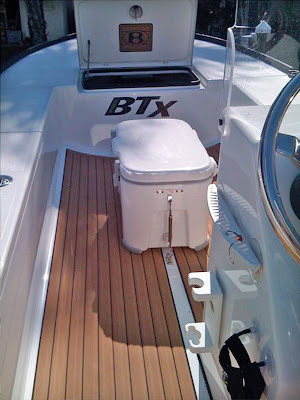 Steve Trafton of Indian Rocks Beach florida was customer no 1 for a production teak kit.